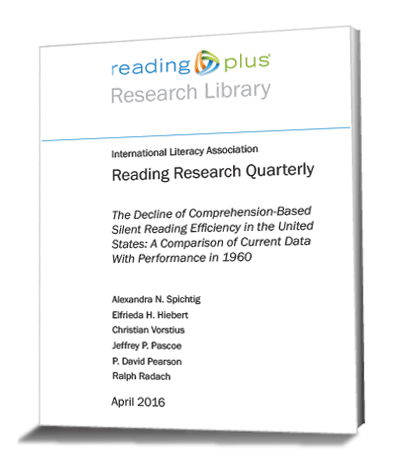 First comprehensive study of the comprehension-based silent reading efficiency of U.S. students in the 21st century. High school students show the biggest efficiency drop, a 19% decline in comprehension based silent reading rate. independently, they struggle more and accomplish less. Reading Plus is a differentiated reading intervention for students in grades 3 through 12 that integrates comprehension, vocabulary, motivation, and reading efficiency in one personalized, adaptive digital program.